A 20-year-old man shocked his family after he apparently walked into his own wake, being conducted by family members. How did this happen? Identified as Juan Ramon Alfonso Penayo, his relatives had been mourning his death at his home when he reportedly rocked up to the gathering. 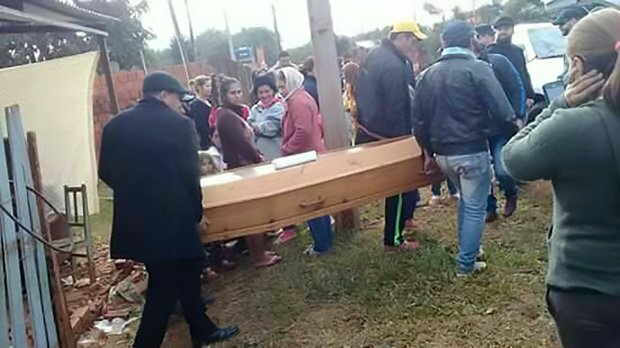 His family had thought he’d been killed in a gangland shooting in the village of Santa Teresa, Amambay, in Paraguay. They even identified his burned remains and buried them, according to Perfil. But Penayo was alive and had just not bothered to tell them where he was for a week. Organised crime specialist Candido Figueredo told local media Penayo left his home last Thursday and had not come back. We imagine his family were both pleased and annoyed with the young man who just casually walked back into his house while his family were in tears. Penayo's family couldn’t be blamed for thinking he was dead considering areas in Amambay, which borders the Midwestern state of Mato Grosso do Sul in Brazil, are hotly contested between rival drug organisations. Traffickers also operate in the region, which make things even worse. It has not been confirmed who the person Penayo’s family buried was.